Lyuben Petrov’s approach to painting is characterized by expressive painting representation, clear intensity and energetic paste-like spreads of color or distinctive plasticity. 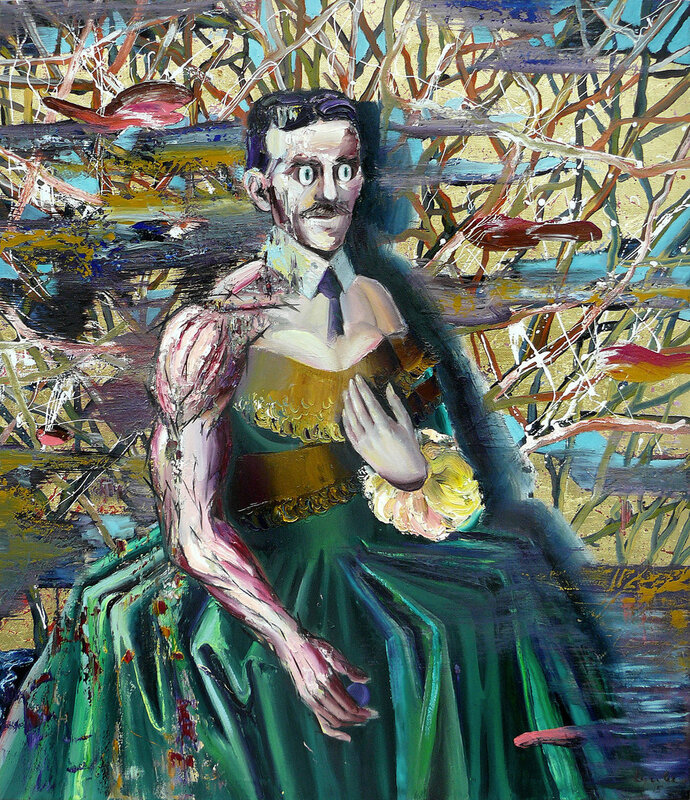 His fantastic and grotesque subjects are often tinged with satirical aesthetics and comical hyperboles. 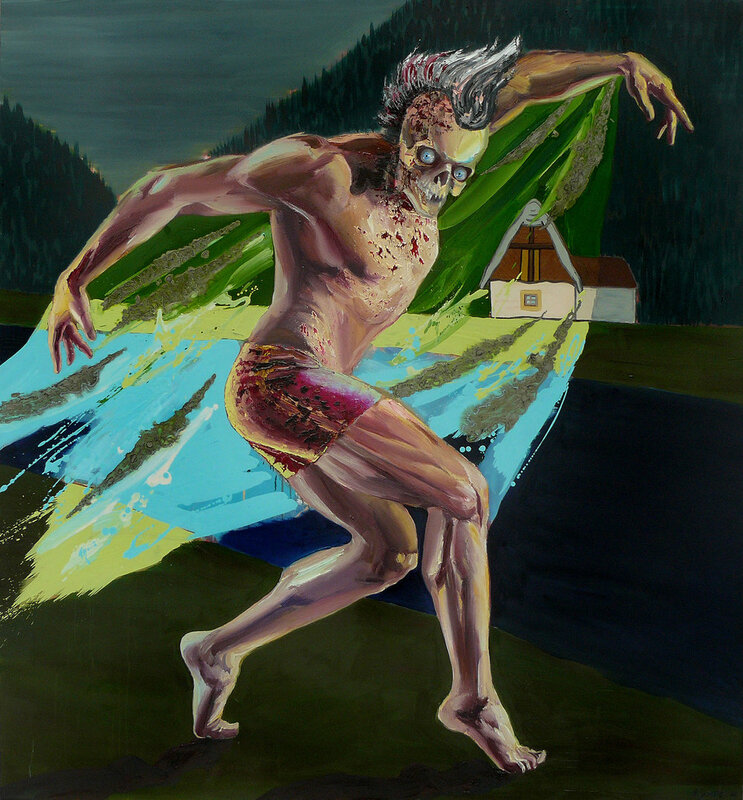 The Bulgarian painter, often deals with themes of the relationship between people and nature as well as the cycle of life and death, often with apocalyptic undertones. In his work he combines symbols and elements from both Eastern and Western cultural traditions of Christian iconography, with mythological imagery and abstract concepts inspired by science-fiction. The artist voices his socio-political opinions through the concept of the “Apocalypsarium”, his ironic concept for the state of current international affairs.He sees the apocalypse as “ever-present, constantly moving and always mutating in the process.” His character’s backstory remains a mystery for the spectators, who often appear to be in trance-like state, left alone in the world, sucked in by a natural catastrophe––an apocalypse. Bulgarian painter Lyuben Petrov - Lyube was born in 1984 in Burgas. Lyube majored in mural painting at the art academy in Sofia. Throughout his studies, he concentrated on mastering the technique and craft of realistic painting. Today, Petrov still employs the formalist strategies of this traditional approach in his work.After moving to the Czech Republic, he studied Fine Arts in Martin Maier’s studio until 2011. Today he lives and works in Prague, Czech Republic.